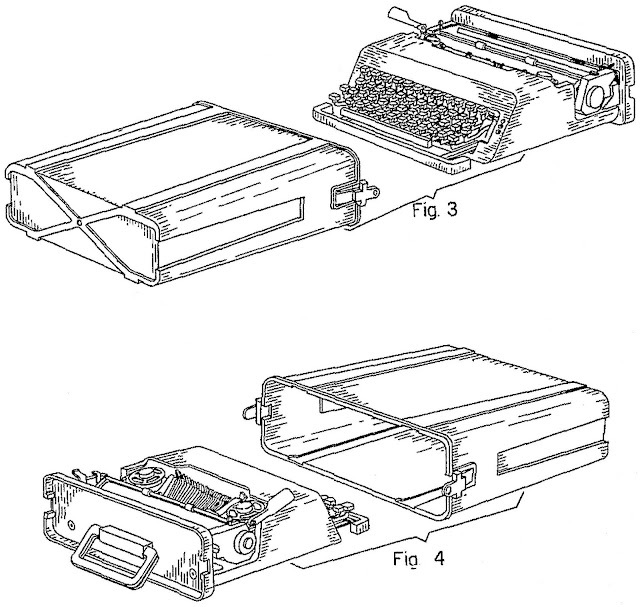 Typewriters continue to serve a vital purpose in today's Internet infested world. This young woman is using an Olympia standard typewriter in one of the Sahrawi refugee camps in Tindouf, Algeria, in this case the women's boarding school at the satellite camp called 27 February. The camps were set up in 1975-76 for Sahrawi refugees fleeing from Moroccan forces, who advanced through Western Sahara during the Western Sahara War. With most of the original refugees still living in the camps, the situation is among the most protracted in the world. The limited opportunities for self-reliance in the harsh desert environment have forced the refugees to rely on international humanitarian assistance for their survival. However, the Tindouf camps differ from the majority of refugee camps in their level of self-organisation. Most affairs and camp life organisation is run by the refugees themselves, with little outside interference. The camps are governed by Polisario, an administrative part of the Sahrawi Arab Democratic Republic (SADR). On the February 27, 1976, the Polisario Front declared the birth of its "state-in-exile". OzTypewriter has ploughed on through thick and thin these past eight years, putting up on average of 302 posts a year and averaging 465,472 page views a year. It threatened to explode in my face once or twice, but it's yet to bomb out completely. A typist demonstrates the uses of a Royal standard typewriter at the British Office Appliances Trades Association's Business Efficiency Exhibition at White City, London, on February 27, 1930. American journalist Alberta Charlayne Hunter-Gault was born in Due West, South Carolina, on February 27 in 1942. She is photographed here in 1983 in her New York office of the MacNeil/Lehrer Report. Hunter-Gault is a former foreign correspondent for National Public Radio and the Public Broadcasting Service. In 1961, Hunter became part of the civil rights movement when she and Hamilton Holmes became the first two African-American students to enrol in the University of Georgia. She graduated in 1963. Four years later she joined the investigative news team at WRC-TV, Washington DC and anchored the local evening news. In 1968, Hunter-Gault joined The New York Times as a metropolitan reporter specialising in coverage of the urban black community. She joined The MacNeil/Lehrer Report in 1978 as a correspondent, becoming The NewsHour's national correspondent in 1983. She left The NewsHour with Jim Lehrer in June 1997. She worked in Johannesburg, South Africa, as National Public Radio's chief correspondent in Africa from 1997–99 then as CNN's Johannesburg bureau chief and correspondent until 2005. During her association with The NewsHour, Hunter-Gault won two Emmys and a Peabody for excellence in broadcast journalism for her work on Apartheid's People, a NewsHour series on South Africa. She also received the 1986 Journalist of the Year Award from the National Association of Black Journalists, a Candace Award for Journalism from the National Coalition of 100 Black Women in 1988, the 1990 Sidney Hillman Award, the Good Housekeeping Broadcast Personality of the Year Award, the American Women in Radio and Television Award, and two awards from the Corporation for Public Broadcasting for excellence in local programming. 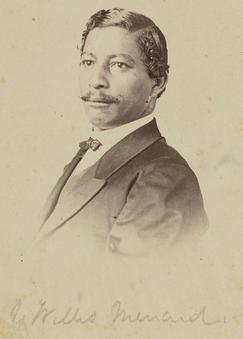 On February 27, 1869, 150 years ago today, John Willis Menard became the first African American to address the chamber of the US House of Representatives. Menard (1838–93) was a federal government employee, poet, newspaper publisher and politician born in Kaskaskia, southern Illinois. After moving to New Orleans in 1865, he became, in 1868, the first black man elected to the House of Representatives. During the American Civil War, Menard worked as a clerk in the Department of the Interior under Abraham Lincoln (see below). Menard was sent to British Honduras in 1863 to investigate a proposed colony for newly freed slaves. In New Orleans established the newspaper The Free South, later named The Radical Standard. In an 1868 special election to fill the unexpired term of James Mann, a Democrat who had died in office, Menard was elected as a Republican to represent Louisiana's 2nd congressional district. He was denied the seat on the basis of an election challenge by the apparent loser, Caleb S. Hunt. When the House Committee on Elections failed to make a final determination on the election challenge, the case went before the entire House of Representatives. On February 27, 1869, the House suspended its rules to allow both Menard and Hunt to address the chamber in support of their claims. Only Menard spoke. After Congress debated the issue, neither Menard nor Hunt could gain enough support to be seated. The vote for Hunt was 41 in favour to 137 against. For Menard, it was 57 in favour and 130 against. Neither man was seated. Menard moved to Jacksonville, Florida, where he was appointed to the Florida House of Representatives in 1874. He became editor of the Florida News and the Southern Leader from 1882-88. Mathew Brady photographed presidential aspirant Abraham Lincoln before his February 27, 1860, speech at Cooper Union in New York. In May Harper’s Weekly published Brady’s image as a woodcut on its cover with a biographical profile of Lincoln. 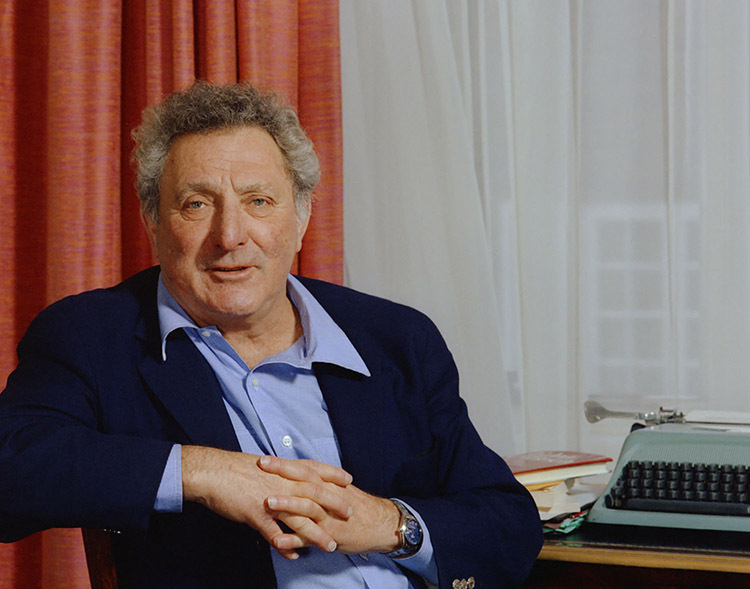 American playwright, screenwriter, novelist, and short-story author Irwin Shaw, seen here with an Olivetti Studio 44 typewriter, was born Irwin Gilbert Shamforoff in the South Bronx, New York City on February 27, 1913. He died in 1984. His written works have sold more than 14 million copies. He is best known for two of his novels: The Young Lions (1948), about the fate of three soldiers during World War II, and Rich Man, Poor Man (1970), about the fate of two siblings after the war. His younger brother, David Shaw, became a noted Hollywood producer and writer. British novelist, poet, dramatist, and travel writer Lawrence George Durrell, seen here with an Olympia Traveller de Luxe typewriter, was born on February 27, 1912. He died in 1990). Born in India to British colonial parents, he was sent to England at the age of 11 for his education. His first book was published in 1935, when he was 23. In March 1935 he and his wife, and his mother and younger siblings, moved to the island of Corfu. 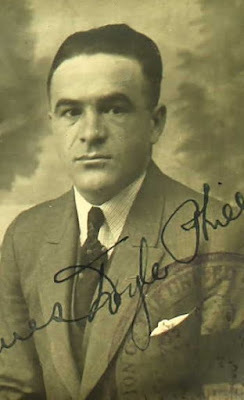 Durrell spent many years thereafter living around the world. His most famous work is The Alexandria Quartet, a tetralogy published between 1957 and 1960. He was one of the most celebrated writers in England. 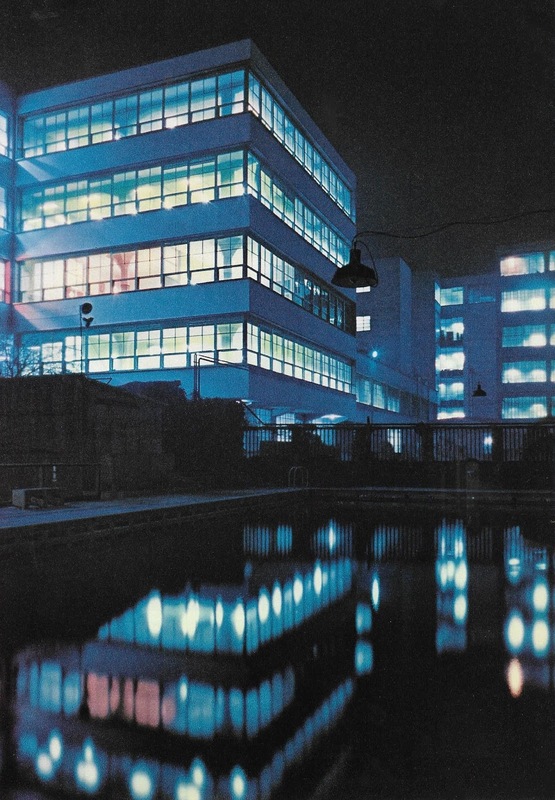 This advertisement for the Marais papermill of Paris first appeared on February 27, 1950. 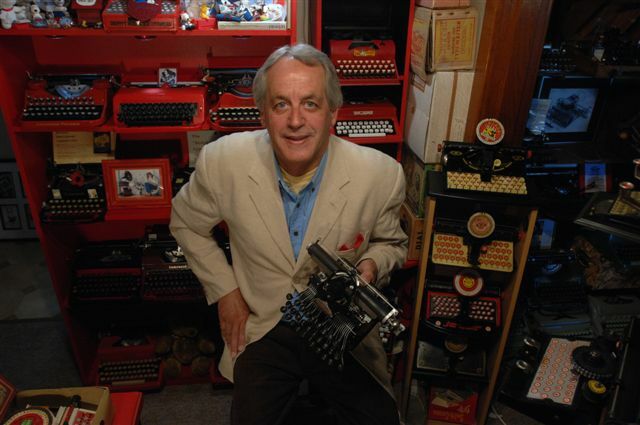 Grant Allen at his Royal Bar-Lock typewriter in a recess of his study at his villa, The Croft, in Surrey, England. The German microscope, left, was a gift to mark his services to science, orchestrated by none other than his friend Charles Darwin. The "Busiest Man in England"
and "The Man Who Did"
Yesterday marked the anniversary of the birth, in 1848, of the science writer, novelist, journalist, botanist, biologist and advocate of evolution, Charles Grant Blairfindie Allen. Allen was born at Alwington outside Kingston, Ontario, Canada. 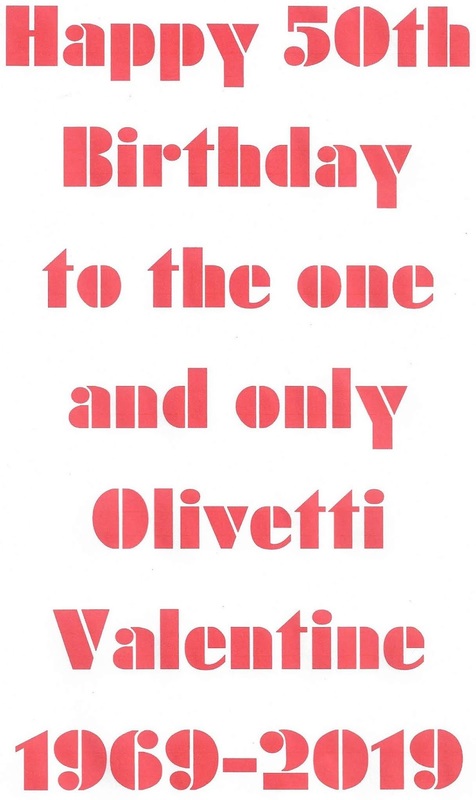 Two years before his death from liver cancer, aged 51, at his villa The Croft, on the edge of the Devil’s Punch Bowl in Hindhead, Haslemere, Surrey, England, Allen wrote the novel The Type-Writer Girl, under the female pseudonym of Olive Pratt Rayner. He wanted to convince readers the book was written by a female and from a female point of view, and, as ever, he succeeded. The Type-Writer Girl, published in London by C.A. Pearson in 1897, is a satire of an anarchist Utopia which invokes tensions typical of the fin de siècle (end of century) concerning evolution, technology and the role of women. 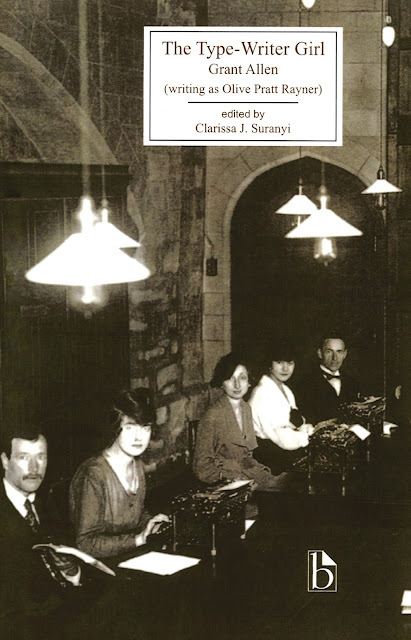 The book can be read online here. Until 1861 Allen was educated at home in the Thousand Islands region, on the upper St Lawrence River, by his father, Joseph Antisell Allen (1814–1900), a clergyman of the Church of Ireland and incumbent at Holy Trinity, Wolfe Island. His mother, Charlotte Catherine Ann Allen (1817–1894) was the only daughter of Charles William Grant, fifth Baron de Longueuil. In 1861 Grant Allen’s parents moved to New Haven, Connecticut, where Antisell Allen tutored at Yale University. The next year the family went to France, where Grant Allen studied at the Collège Impérial at Dieppe. He later transferred to King Edward's School in Birmingham, England, and in 1867 was elected to a postmastership at Merton College, Oxford University. He went on to gain a first class in classical moderations and a second class in the final classical school after only a year's reading, and took his BA degree in 1870. 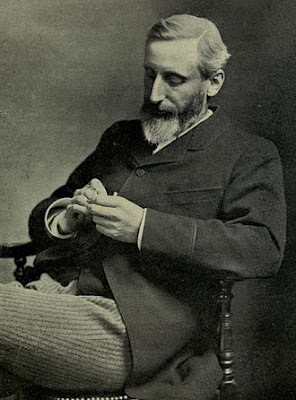 Allen returned to study briefly in France, then taught at Brighton, Cheltenham and Reading. In 1873, Allen, aged just 25, was shipped across the Atlantic by the British Government's Colonial Office to become a professor of logic and mental and moral philosophy at Queen's College, a Jamaican Colonial Government school set up for West Indian students in Spanish Town, Jamaica. He was college principal from 1874 until the school was closed in 1877. During his ample spare time in the West Indies, however, Allen studied philosophy and physical science and framed an evolutionary system of his own, based mainly on the works of Herbert Spencer, the English philosopher, biologist, anthropologist, sociologist and prominent classical liberal political theorist of the Victorian era, but also on Charles Darwin’s theories. Notwithstanding Allen’s upbringing and early teachings under his Protestant minister father, Allen became an atheist and a socialist. By the time he returned to England, Allen’s views on evolution from a Social Darwinist angle were well formed and he did not deviate from them for the remainder of his short life. He had decided to take up writing on scientific subjects, having his works published at his own expense, but was, according to the London Graphic, “rewarded with more praise than cash”. Indeed, Allen was out of pocket to the tune of £30 from his 1877 work Physiological Æsthetics alone, after an outlay of 100 guineas (the book was about the origins of the pleasure derived from natural or artistic products). So, following a suggestion from Andrew Chatto (1840–1913), a member of the publishing firm of Chatto & Windus, Allen turned to writing science fiction, using pseudonyms such as J. Arbuthnot Wilson, Cecil Power and Martin Leach Warborough. He was further encouraged in his short story writing by novelist James Payn (1830-98), editor of The Cornhill Magazine. In an amusing incident, Payn wrote to Grant Allen saying he didn’t want any more scientific articles, and in the same mail wrote to J. Arbuthnot Wilson asking for more short stories. The first of Allen’s novels was the pronouncedly socialist-leaning Philistia, a satire on socialism and modern journalism, largely autobiographical, published in 1884. Up to that time Allen’s entire profit from book writing amounted to a woeful £30 over eight years! He supplemented that meagre income by writing leaders for Charles Dickens' radical Daily News, notably on the Second Anglo-Afghan War of 1877-80. Between Philistia and The Type-Writer Girl, Allen produced 29 novels. His output increased markedly after he left London for Dorking in Surrey in 1881 and in 1893 he finally settled for the hills around the Devil's Punch Bowl. 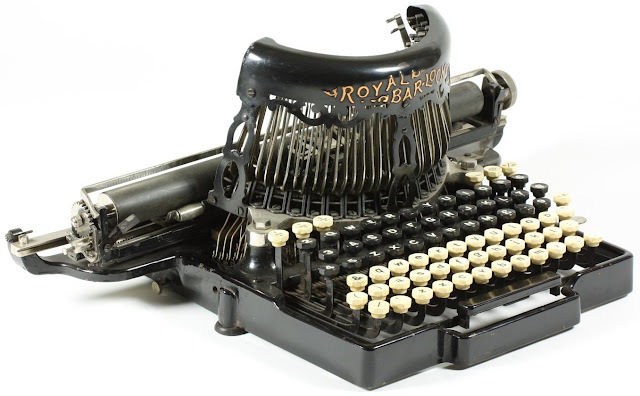 There, in a recess of his study in The Croft, Allen wrote at a table on which his Royal Bar-Lock typewriter sat beside a German microscope which Charles Darwin was instrumental in having presented to Allen, as an acknowledgement of Allen's services to science. Among the more notable books Allen wrote at The Croft were The Woman Who Did (1895), about a young, self-assured middle-class woman, Herminia Barton, who becomes a single mother and defies convention as a matter of principle, and in the same year The British Barbarians, about an anthropology student, Bertram Ingledew, who travels back to 1895 England from the 25th century. That year H.G. Wells published The Time Machine, which mentioned in it Allen’s “queer notion” about ghosts. 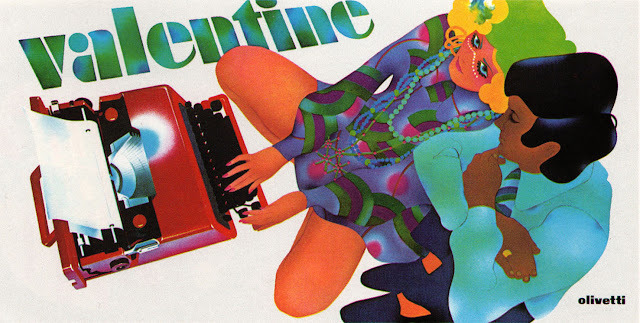 The notoriety of The Woman who Did helped establish the “new woman” novel as a genre. Allen died on October 25, 1899. He was in the process of writing Hilda Wade: A Woman With Tenacity of Purpose, one of the first detective stories with a strong female protagonist. It was completed by Allen’s friend, doctor and neighbour Sir Arthur Conan Doyle, and published in 1900. 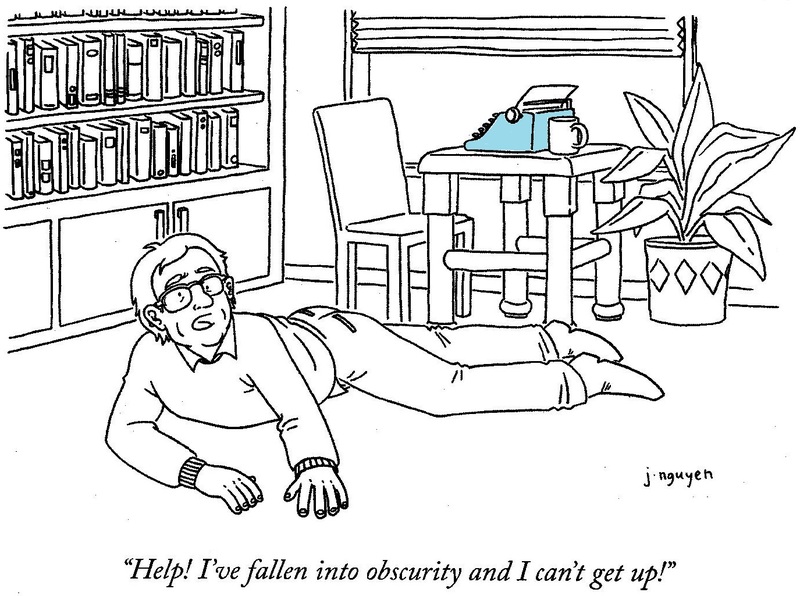 In a frenzied 16-year writing career, Allen’s scope was wide, including tales about multicultural love, suspended animation and a future society's Eugenic practices, all the while embracing such things as the elements of the fantasy of mesmerism, a bacteriological research project and supernatural horror, not to mention straight science fiction. He got some varied and imaginative work out of that Royal Bar-Lock of his! Dorothy Marie Johnson, author of The Man Who Shot Liberty Valance. 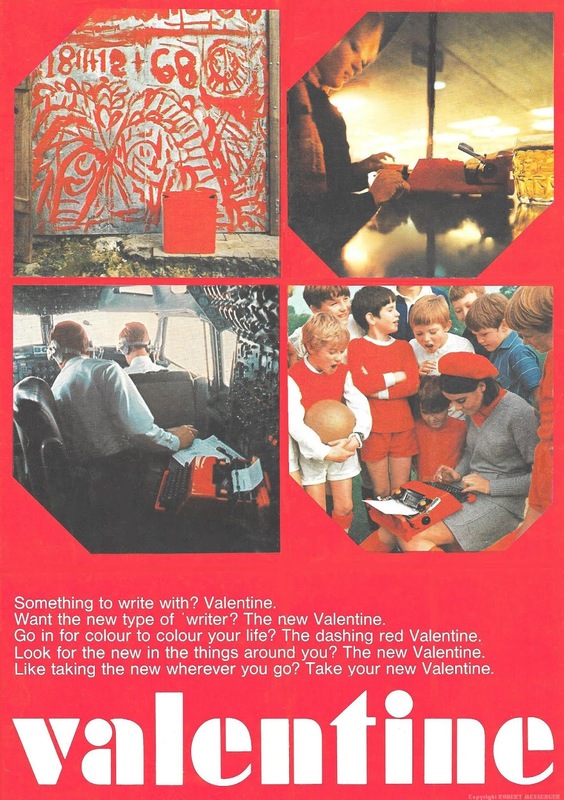 It wasn’t so much of a disappointment when Ford’s film did turn up in town a few weeks later, and we found Pitney’s song wasn’t on Cyril Mockridge’s soundtrack. (Instead, the main theme is Alfred Newman’s Young Mr Lincoln from another Ford film, made in the 1939 and starring Henry Fonda.) I didn’t give it too much thought at the time, but many years later Pitney, just before he died, explained to me that he was recording the track in the Bell Sound Studios in New York City when told the movie was already in the cinemas. Ford apparently didn’t like the lead-in’s off-key fiddle playing. But none of that was either here nor there. 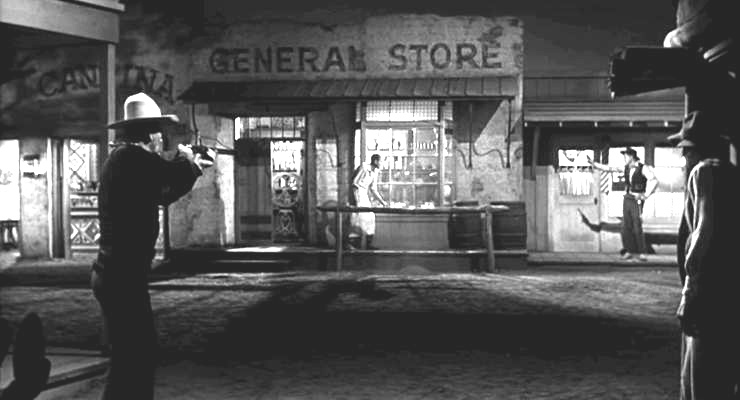 What shook me to my core was the revelation that the man who actually shot Liberty Valance wasn’t Ransom Stoddard (Jimmy Maitland Stewart) after all, but Tom Doniphon (John Wayne/Marion Robert Morrison). In other words, the “hero” who killed Valance wasn’t an idealistic Eastern stranger toting a lawbook but a craven coward hiding under cover of darkness in an alleyway. 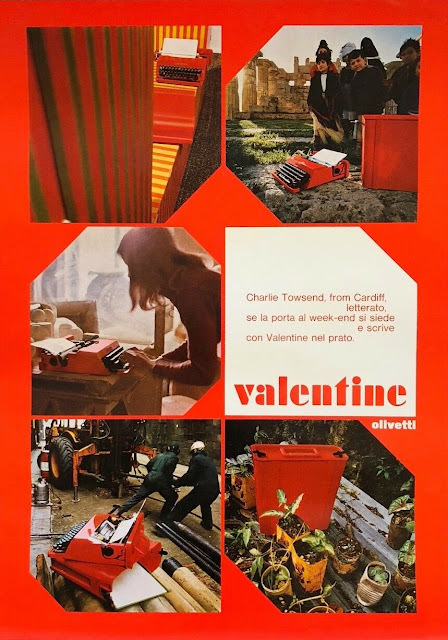 The thing that made this SO much worse was that Doniphon shot Valance from side-on, while Valance was looking elsewhere and otherwise completely occupied (as one would be) by someone else (Stoddard) firing a shot at him. Three shots, in fact, had rung out, not two, and the third had taken down a blindsided Valance. Ergo, that immortal line “He was the bravest of them all” was just one large load of cow manure. Far from being courageous, the killing of Valance had been an act of cowardice. 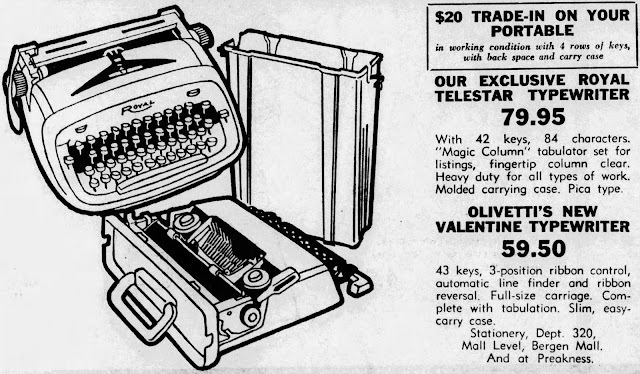 And as Westerns had, by 1962, long since been forming many of my core beliefs in life, this despicable deed by Doniphon has haunted me these past 57 years. Some years ago I was asked to go on air with the Australian Broadcasting Commission’s then morning radio host Chris Uhlmann to explain why I had not put John Wayne at the top of my list of Top 20 cowboys from the Westerns. The list had appeared in that morning’s The Canberra Times, and my feelings on the Valance killing remained such that I probably ranked Brad Dexter as Harry Luck in The Magnificent Seven way higher than Wayne. As I defended my decision to Uhlmann, I detected in the response a certain discernible sway toward my position. Reuben J. Cogburn was one thing, Tom Doniphon something completely different. Pat Brennan, Shane, Marshall Will Kane and The Man With No Name always faced their foe head-on, never relied on someone hiding up an alleyway to do their dirty work. But, then, the thing about Dorothy Marie Johnson’s short story The Man Who Shot Liberty Valance is that it’s all about the way myths can be created out of lies, and survive because they fulfil a purpose. The first reviews of Johnson’s Indian Country, which appeared in Associated Press newsfeatures by W.G. Rogers wired across the US in early August 1953, stressed The Man Who Killed Liberty Valance is actually about “the man who did and the man who didn’t shoot Liberty Valance”. There are two telling quotes toward the end of Johnson’s story – or, perhaps more correctly, from the screenplay by James Warner Bellah and Willis Goldbeck. 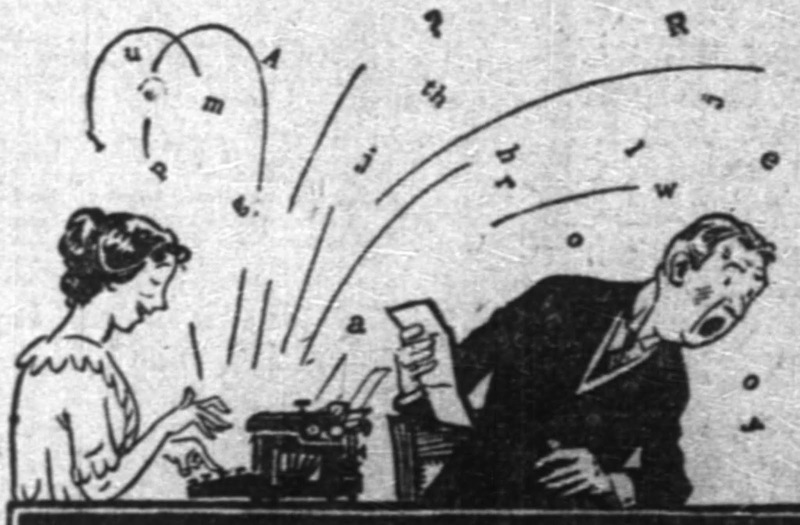 Reporter Maxwell Scott, on hearing Senator Stoddard's story and realising Stoddard’s reputation is based on a falsehood, decides against publishing the truth. “This is the West, sir,” Scott tells Stoddard. “When the legend becomes fact, print the legend.” Stoddard at this point is on the verge of a Vice-Presidential nomination, having already ridden on the coat-tails of his deception to an ambassadorship of Britain and governorship of Oklahoma (or possibly New Mexico – Shinbone’s state is not specified; Johnson lived much of her life in Flathead County, Montana). Later, on the train back to Washington DC, Stoddard is told by the train conductor Jason Tully, “Nothing's too good for the man who shot Liberty Valance!” Nothing, that is, except eternal damnation. It would be a little ironic if Shinbone’s state was New Mexico, since that’s where, last October 26, US Homeland Security Secretary Kirstjen M. Nielsen unveiled a plaque marking “the completion of the first section of President Donald Trump's border wall”, 2¼ miles of 30ft-tall bollards in Calexico. 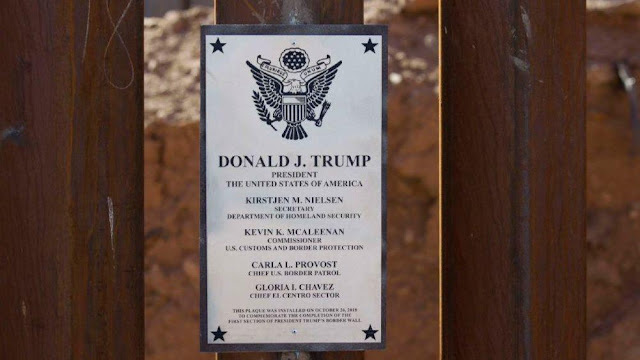 The wall, of course, is the manifestation of perpetrating myths, a monument to lies. Yesterday The Independent ran a piece from Caroline Orr in New York under the headline, “Why do Trump's biggest fans still believe him when he lies? The answer is in the human brain”. Orr wrote, “As the president declares a national emergency, let me introduce you to a phenomenon known as the ‘illusory truth effect’.” This is also known as the validity effect, truth effect or the reiteration effect and is the tendency to believe information to be correct after repeated exposure. Paul Simon in The Boxer put it somewhat differently, “A man hears what he wants to hear and disregards the rest.” That is, that Senator Stoddard shot Liberty Valance and that Donald Trump tells the truth. And where does the Press lie in connection to all this? Why didn’t it have more sway, a more committed allegiance to the truth? More guts? 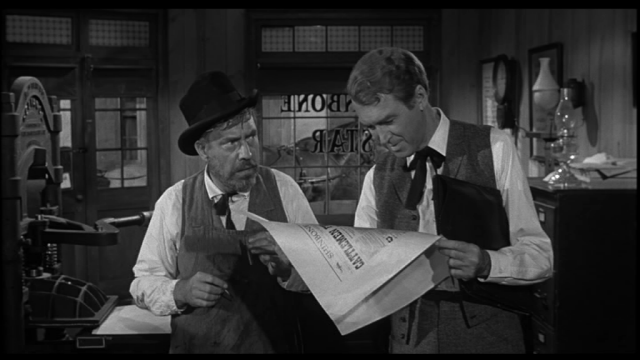 Well, one of the many very interesting characters in The Man Who Shot Liberty Valance, and one not entirely overlooked in cinematic history, is the Shinbone Star’s editor Dutton Peabody. The name comes from Johnson’s own misguided marriage, at age 21, to a no-hoper called George William Peterkin, who had too great a fondness for booze, gambling and leaving behind unpaid debts, but ended up managing to get a job with the Remington arms factory in Bridgeport, Connecticut. 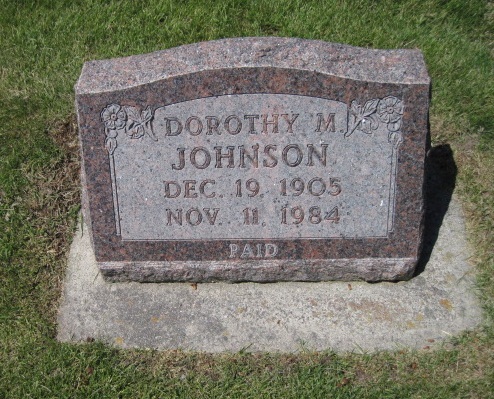 Johnson had got rid of him long before that, and having paid off all his debts had “Paid” inscribed on her tombstone. For Peabody read “pisshead”. 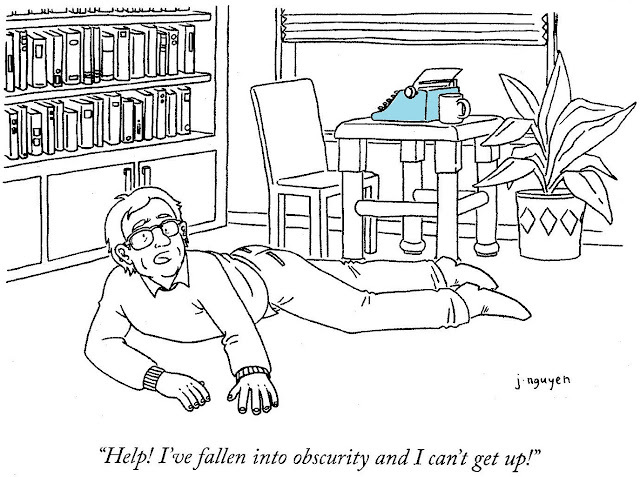 Why Peabody should be portrayed as such a weak, ineffectual individual with a penchant for a highfalutin vocabulary sometimes crippled by his addiction to alcohol – such as when he wants to say he’s “indubitably” afraid of Valance - is anyone’s guess, especially given Johnson’s own obvious passion for the printed word and the truth. Since Peabody survives the assault by Valance and his sidekicks and, with the aid of a walking stick nominates Stoddard for the senate, we must assume he, too, is a party to the perpetration of the Stoddard myth. But Peabody declares he finds courage in a tavern, not a lie. Perhaps, after all, Johnson’s hidden message is a warning against the insidiousness of fake news. At least Johnson’s love of language shines through in the person of Peabody, a man who can use the word “myrmidon” to describe Valance’s hoods and get away with it. Johnson also has Peabody saying he is a “servant of the public weal” and that “I'm a newspaperman, not a politician! … politicians are my meat - I build 'em up and I tear 'em down … I'm your conscience - I'm the still, small voice that thunders in the night. I'm your watchdog that howls against the wolves! I'm your father confessor!” Yet closing the bar during voting in a territorial convention is “carrying democracy much too far”. Legends aside, The Man Who Killed Liberty Valance embraces many of the more cherished American traditions – a safe home and new life for migrants (the Swedish couple Nora and Peter Ericson) starting, arguably, with the Pilgrims, the taming of the West and the ultimately presumed triumphs over ignorance, illiteracy, racism and fascism. And yet, for all that, the premise is based on a misconception – the lawman who shunned guns was indeed “the bravest of them all”, not the cowboy who actually killed Valance. And Stoddard might have been misleading in other ways. He asks his reading and writing class about the supreme law of the land, and an African-American, Pompey, correctly answers the Constitution. But Stoddard believes it is the Declaration of Independence, a statement of principles and a justification for the colonies' rebellion, not law. Maybe Donald Trump should get out the DVD, he might learn something too. 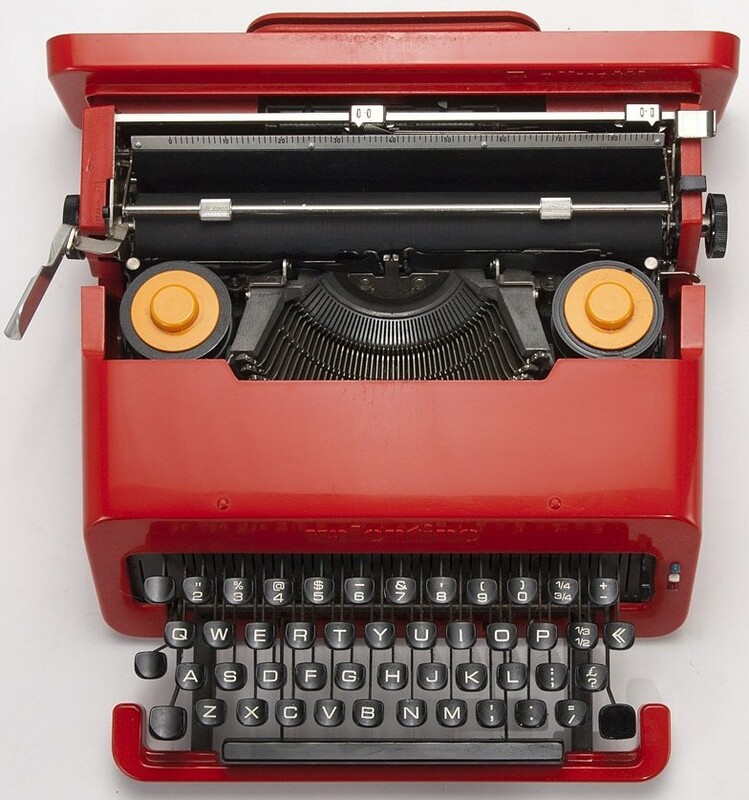 Ruby Hart Phillips covered the Cuba Revolution at her typewriter in an office a block from the Presidential Palace in Havana, with two lit cigarettes on the go, and in the company of a lame cat and a parrot. It was 60 years yesterday from the day Fidèl Castro took his first official Cuban Government role, replacing José Miró Cardona as Prime Minister. 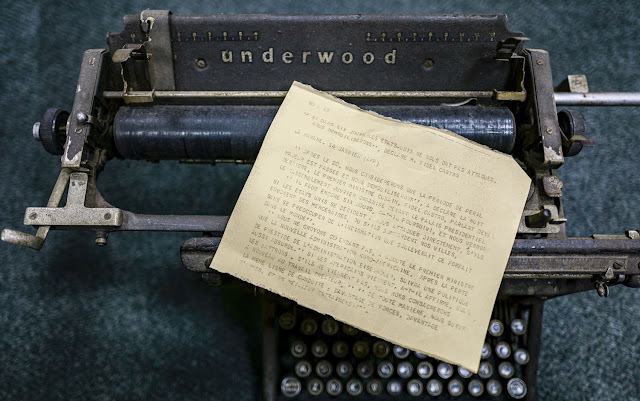 Celebrations marking the 60th anniversary of the Castro-led Cuban Revolution started in Havana at the beginning of the year and included an exhibition which featured the Underwood standard typewriter used by Agence France-Presse correspondent Jean Huteau to write his dispatches. Jean Huteau's Underwood typewriter on display in Havana. Above are the only two known photographs – at least to me – of the writer known to her American readership by the gender-neutral byline of R. Hart Phillips. At top is her portrait for a Brazilian immigration card issued in November 1961. The other photo shows Phillips in sunglasses, front right, among a group of American citizens and Cuban-Americans with dual citizenship who were left stranded in Havana on January 3, 1961, when the United States broke off diplomatic relations with Cuba. They sought help to leave the island nation at the back door of the US Embassy. But it was too late: the Embassy was closed and its staff had been evacuated. 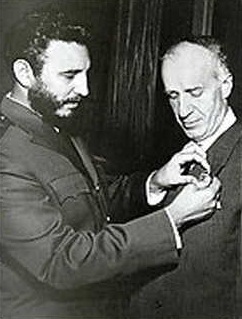 Phillips eventually succeeded in leaving Cuba in November 1961, after Castro had cracked down on the foreign press in April. Phillips’s home and office were raided and agency colleagues detained. For a short while The New York Times reported her as being “unaccounted for”. When Eleanor Roosevelt wrote about all this in May, she was still under the mistaken belief that Phillips was a man. Phillips reached Miami through Brazil and the Dominican Republic. Similarly, there aren’t too many surviving images of Jean Huteau. In this one he is posing beside a downed solid-nosed Douglas B-26 Invader during the disastrous Bay of Pigs invasion, on April 17, 1961. 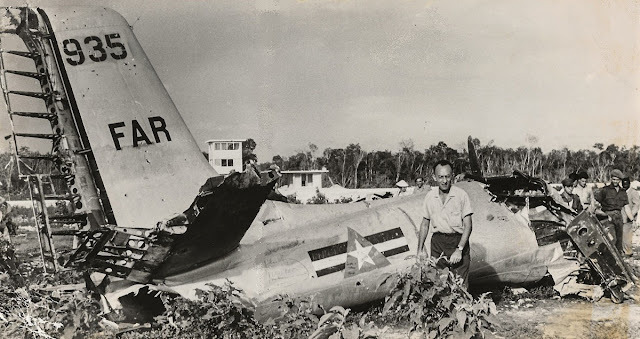 The jet was clumsily disguised by the CIA and the Cuban Liberation Air Force in the colours and markings of the Cuban Revolutionary Air Force (FAR). Half the US planes masquerading as FAR fighters were shot down by Cuba’s Lockheed T-33 jets and propeller-driven British Sea Fury fighters. Huteau was born on April 21, 1919, in Orléans and died on July 29, 2003, in Chesnay. A resistance fighter in France during World War II, he worked for the French Army as a public relations officer in Indochina from 1946-47. He then became the correspondent for du Monde and du Nouvel observateur in Buenos Aires, covering Latin America. In 1958 Huteau was recruited by AFP and from September 1, 1959, he was in Cuba, taking over duties from Havana journalism school professor Carlos Tellez, who also worked for Reuters, and AFP’s head of political and diplomatic service, Jean Allary, who died in a plane crash between Bogotá in Colombia and Lima in Peru in June 1959. The next year Huteau opened the agency’s Havana office as bureau chief. He later became directeur de l’information of AFP in Paris. 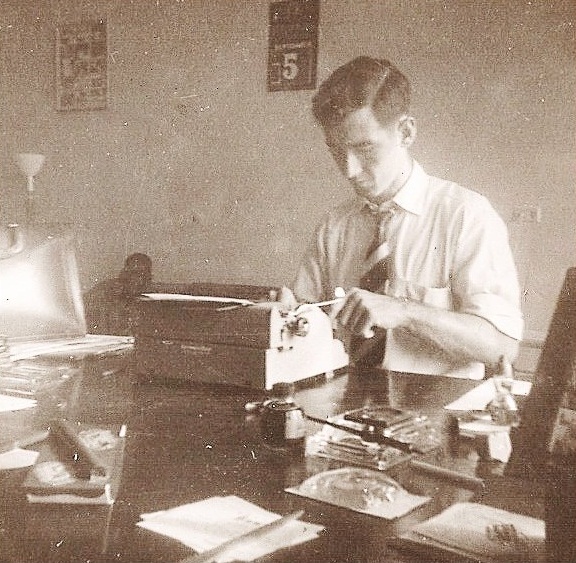 By contrast, Ruby Hart Phillips covered Cuba for The New York Times for 24 years from 1937. Her deliberately masculined byline topped dispatches about murders, hurricanes, politics and revolutions. She took over in Havana after the death in a car crash in Pomona, California, of her husband, Arkansas-born James Doyle Phillips (1896-1937), Cuban correspondent for The New York Times from 1931. Ruby was badly injured in the accident, which almost also claimed the life of the couple’s then 11-year-old daughter, Martha Jean Phillips. 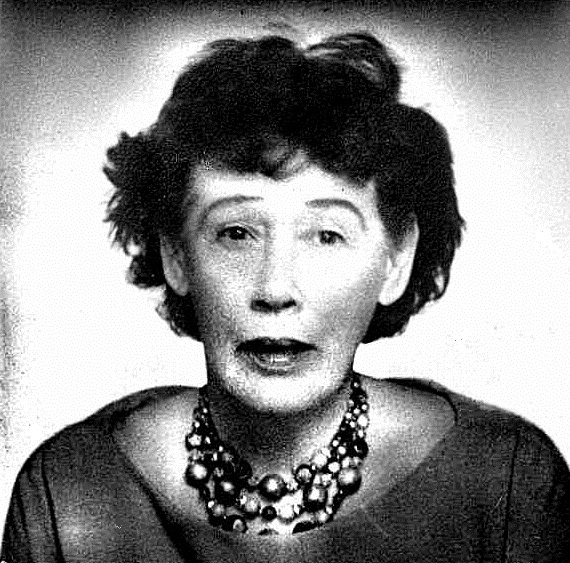 Described as a very brave and foolhardy woman, without good eyesight, Ruby Phillips’s habit of stopping to fix her lipstick before an interview might have infuriated colleagues, but it saved her life when she entered Fulgencio Batista y Zaldívar’s presidential palace on March 13, 1957. It meant she escaped a rifle, machine-gun and grenade attack which killed five guards by mere seconds. Her office was a block from the presidential palace. 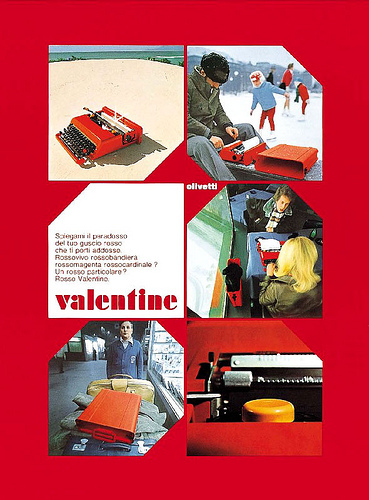 There she wrote articles on a typewriter near which was an ashtray in which two cigarettes always seemed to be burning. Among those she shared the office with at one point were a lame cat and a parrot. Phillips arranged the visit of a New York Times correspondent, Herbert Lionel Matthews (1900-77) to Castro in the Sierra Maestra Mountains in February 1957. Almost two years later, just before he was to make his triumphant entry into Havana, Castro paid his respects by sending Phillips an orchid that he had picked and had delivered to her office 700 miles away. 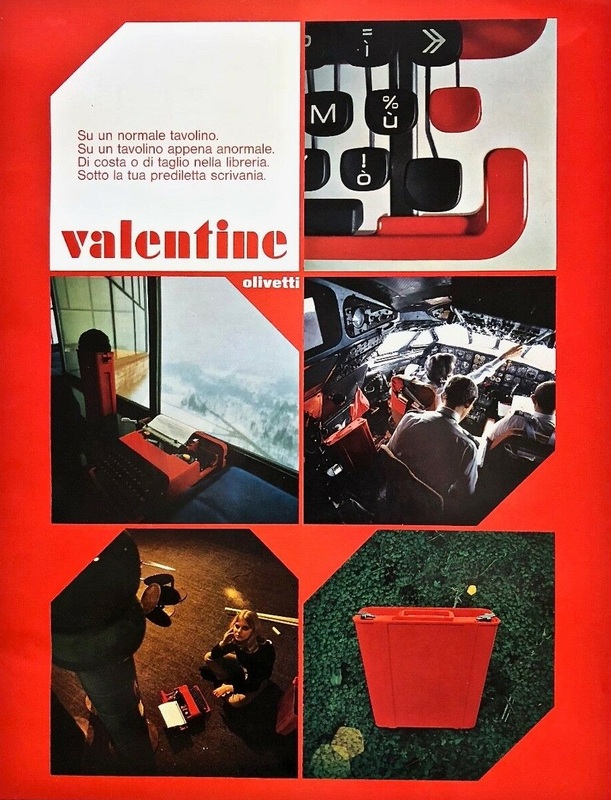 Matthews types on an Olivetti Lettera 22 on the flight home. Readers of The New York Times objected to his fawning writing about Castro. Below, Matthews gets his just deserts. 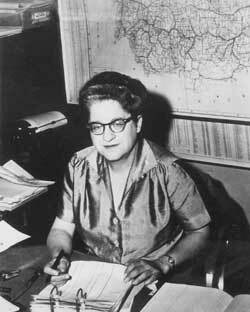 Ruby Hart was born to Tennessee parents on December 12, 1898, in a community called Sickle, Dewey County, Oklahoma, but because Sickle was but a speck on the map of west Oklahoma, she always gave her birthplace as Okeene. She also usually gave her birth year as 1900, a date not borne out by 1900 and 1910 census returns. Her father was a cattle merchant. 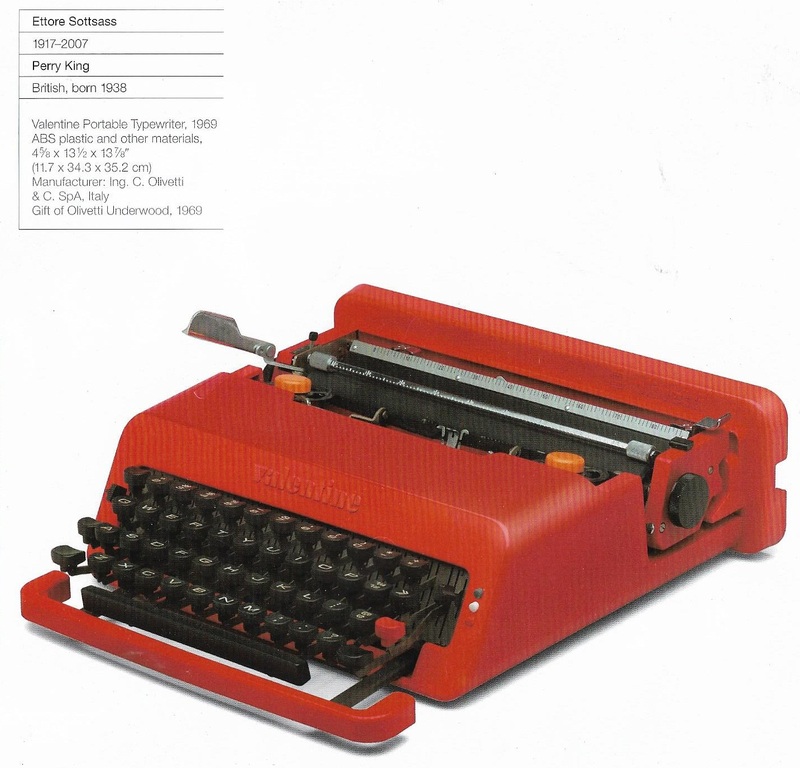 Ruby learnt typewriting at a Dallas business school. 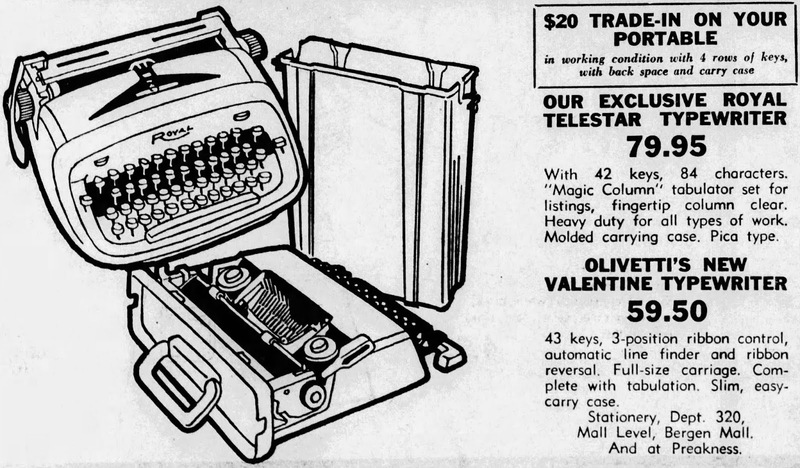 In 1923 she went to Havana as a typewriter-wielding Spanish-speaking stenographer for Westinghouse Electric. There she met James Phillips, an Arkansan who owned a modest printing shop and translating office. 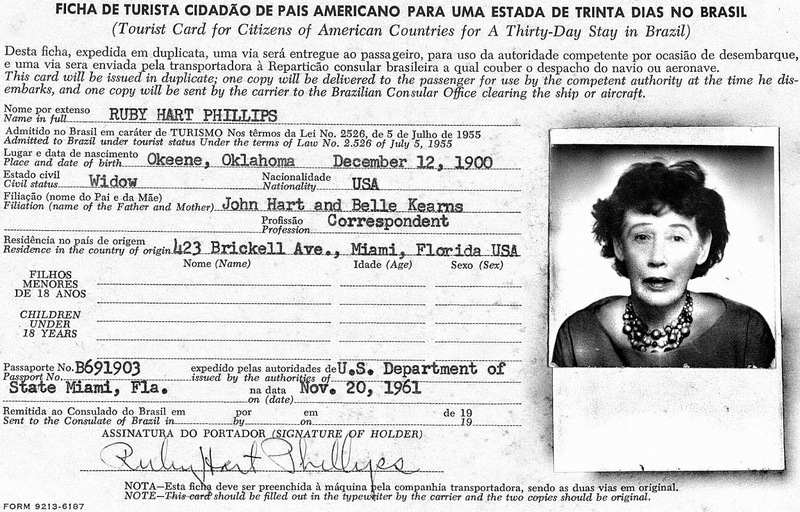 After The New York Times named James Phillips as its Cuban correspondent, Ruby served as his assistant. Her first book, Cuban Sideshow (1935) was followed by Cuba: Island of Paradox, published in 1959, a personal history of Cuba from 1931 which covered the revolt that deposed the dictator Gerardo Machado, the rise and fall of Batista and the Castro revolution. A third book, The Cuban Dilemma, published in 1962, dealt with the days after Castro took power. 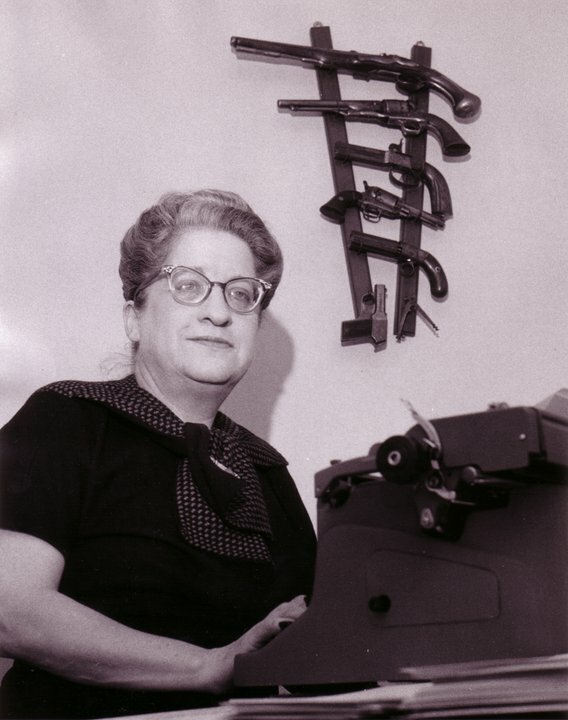 Ruby Phillips left The New York Times in 1963. She became the Latin American correspondent for Newsday until her retirement. She died on October 28, 1985, aged 86, at the Cape Canaveral Hospital in Cocoa Beach, Florida, having lived on Merritt Island for many years. Bernard Diederich at his Remington portable. 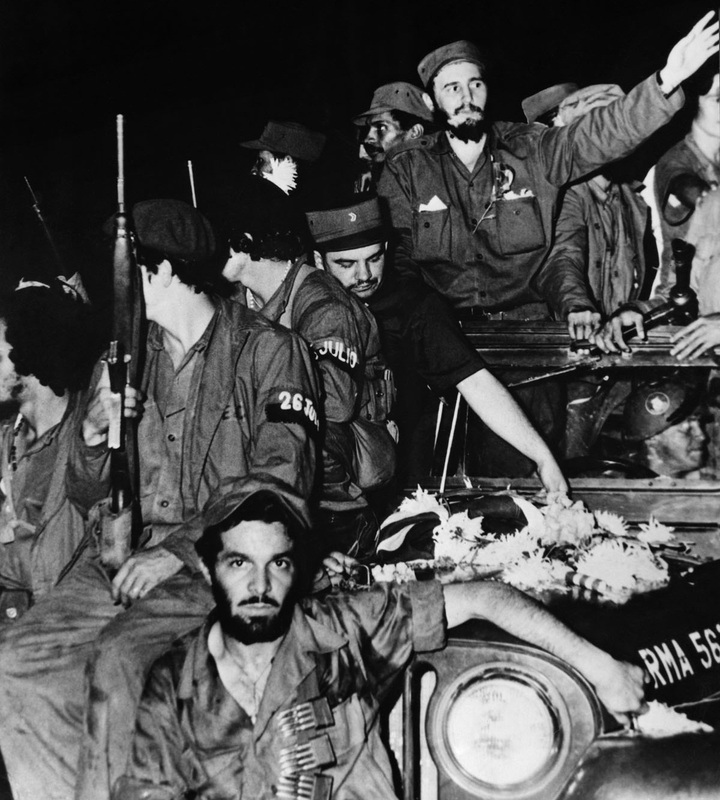 Fidel Castro and the 26 July Movement, with Camilo Cienfuegos (bottom), enters Havana on January 8, 1959.